Imagine if…. we explored a little-known part of the ocean. Below the sunlit surface, there’s a realm known as the ocean’s “twilight zone”. At 200 to 1000 meters below the surface, sunlight is barely a glimmer, yet flashes of bioluminescence give us a clue that these waters teem with life. Heidi Sosik, a senior scientist in the Biology Department at Woods Hole Oceanographic Institution (WHOI) has been named a 2018 Fellow of The Oceanography Society (TOS). To better understand and manage an intricate ecosystem, the National Science Foundation (NSF) has announced the selection of Northeast US coast for a new Long Term Ecological Research (LTER) site led by Woods Hole Oceanographic Institution (WHOI) along with researches at University of Massachusetts, Wellesley College, and the University of Rhode Island. Observations could warn of threats to ecosystem on which humans depend. WHOI researches partnered with 2 companies to build and market undersea technology developed at WHOI. Governor Patrick toured several of the Institution’s labs and was briefed on its robotic vehicle development and ocean observing programs. WHOI received a more than $2 million grant from the Gordon and Betty Moore Foundation to develop new tools for ocean scientists who work with underwater imagery to better understand the ocean and its ecosystems. Novel instrument developed at WHOI detects harmful algae in coastal waters. Project funded for quantification of top-down controls on phytoplankton dynamics obvserved with Imaging. Overview of ocean observing systems at WHOI including Martha’s Vineyard Coastal Observatory (MVCO), Ocean Observatories Initiative (OOI), C/GSN IO Pioneer Array, Integrated Ocean Observing System (IOOS), and Northeast Regional Association of Coastal Ocean Observing Systems (NERACOOS). A proposal funded in 2007 to continue and expand activities related to development and implementation to advance our ability to measure, monitor, and analyze the fundamental processes shaping the northwest Atlantic continental shelf ecosystem. A proposal funded to explore the feasibility of using autonomous gliders for regular collection of physical and bio-optical properties along a transect spanning the continental shelf between MVCO and the Line W moored climate array. 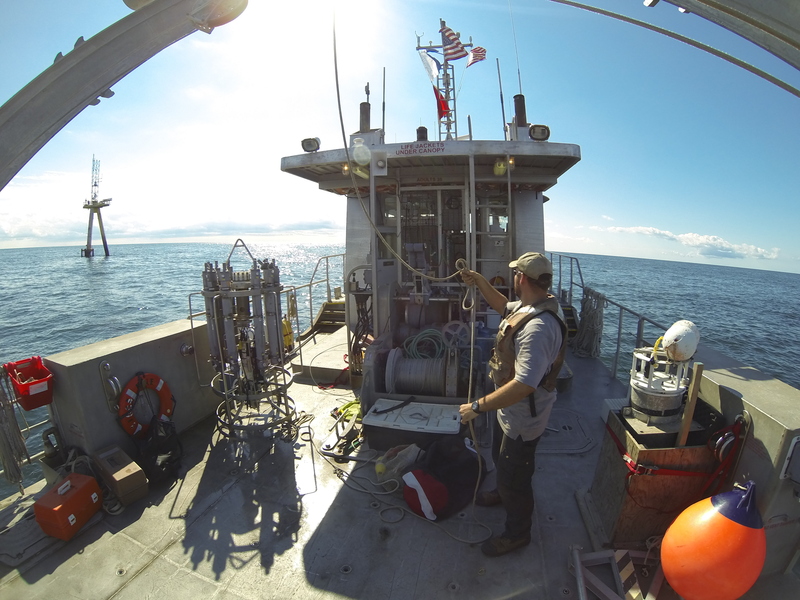 Cabled ocean observatories, like the Martha’s Vineyard Coastal Observatory (MVCO), and new sensors like the Flow Cytobot are enabling scientists to study plankton community structure and processes with unprecedented detail. Ocean observatories linked with cyber infrastructure will change the way marine science is conducted. Biologists Heidi Sosik and Rob Olson have developed the Flow Cytobot, an automated submersible flow cytometer that detects small phytoplankton in situ. Grant funded for imaging in flow to improve the resolution of pump-during=probe measurements of phytoplankton photosynthetic characteristics.